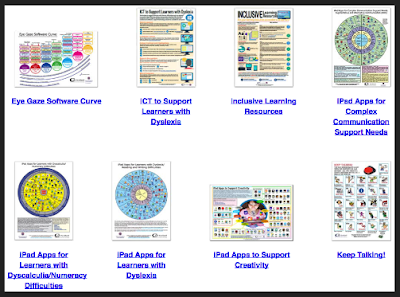 CALL Scotland has this excellent resource page full of posters and visuals featuring a wide variety of educational content to use with students with special needs. 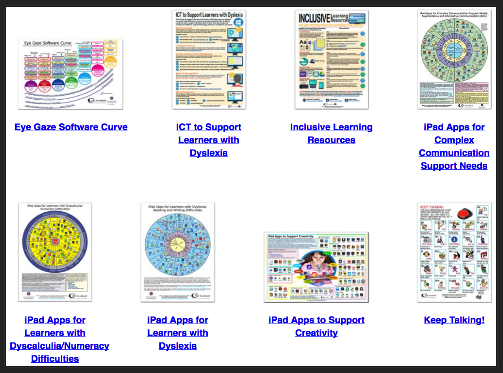 The posters are available for free download as A2 or as PDF with clickable links. Some of the major topics covered in these visuals include” Android and iPad apps for learners with dyslexia, Chromebook apps and extensions for learners with dyslexia, iPad and Android apps for complex communication support needs, iPad apps for learners with dyscalculia/numeracy difficulties, supporting writing difficulties, using the iPad to support learners with physical difficulties, using the iPad to support learners with visual difficulties, and many more. We invite you to check them out and share with your colleagues.